Our Price Promise buy from us and if you find it cheaper elsewhere we will beat that price. We promise we won’t be beaten on price we check our prices daily to ensure you get the best price. Other orders are a Flat Rate of £1.75 1st Class post however many items you buy. DermMatch colors your scalp to match your hair color. It also coats and thickens thin hairs, making them stand up and spread out for maximum fullness. No product in the world can make your hair look this thick and full. DermMatch works instantly for men and women of any skin color, hair color or hair type. 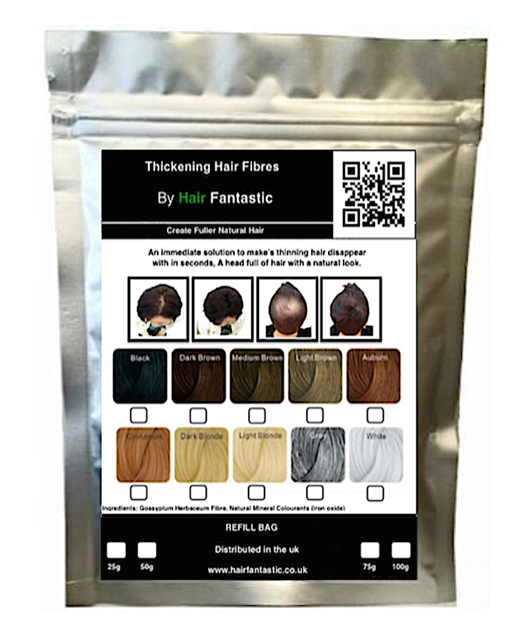 Home Brands Delivery Returns About Us Hair Loss Hair Growth & Hair Loss Gifts What&apos;s New?